Sharing an Inheritance With a Special Needs Trust - Keystone Elder Law P.C. Over the years, we are increasingly seeing a problem occur where the parents of a person with special needs cared for and lived with that son or daughter for their entire life. 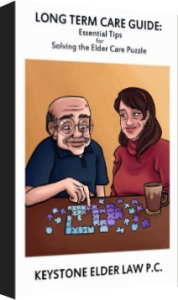 What happens when mom and dad die? A lot of people do not have appropriate plans in place to make sure that their loved one with special needs is properly taken care of. After parents die, the remaining family members either stick together or turn against each other. For better or for worse, I have learned over the years that death and money changes people. One family I met along the way of helping people banded together to help their sibling who has special needs by implementing a strategy that I hope in the future will be utilized more often. In this particular case, mom and dad had lived with and cared for their daughter with special needs for her entire life. At some point along the way, mom and dad added all of their children’s names on the deed to their house. In this particular case, mom and dad were very lucky that nothing happened with all of those children to put their real estate at risk and they were very fortunate that all of the children had the same goal as mom and dad and that was to take care of their sibling with special needs. Usually, we do not recommend adding children as joint owners on deed to your house because of all of the risks involved; however, in this particular case, it worked out well. Once mom and dad passed, it was not realistic for their child with special needs to stay in the house alone. The siblings worked together providing care to make sure that she was safe and well taken care of. Eventually it got to a point that it was not safe for their sibling to be home alone. They decided to sell the house and relocate their sibling. But where could she go? She was receiving some government benefits and did not have a lot of assets or income. The siblings worked together to get her placed in a very nice local Continuing Care Retirement Community (“CCRC”). However, in order to be admitted, you typically need to have a certain amount of assets. When the house was sold, each sibling could have taken their own share of the proceeds, but instead what they did with the money was remarkable. The siblings created a supplemental needs trust for the benefit of their sibling with special needs. This trust allowed them to give her the assets she needed in order to go to the nice CCRC, but did it in a way so that she would not lose her government benefits. The sibling with special needs is now happily residing in the CCRC and receiving excellent care, but she could not have gotten there without the help of her siblings. It is very important to have plans in place for someone with special needs. If something happens to you, what will happen to them? It is better to create a plan now, rather than rely on the kindness of a person’s siblings because, as I said above, this was a remarkable and heartwarming case, but not all siblings will be as kind. 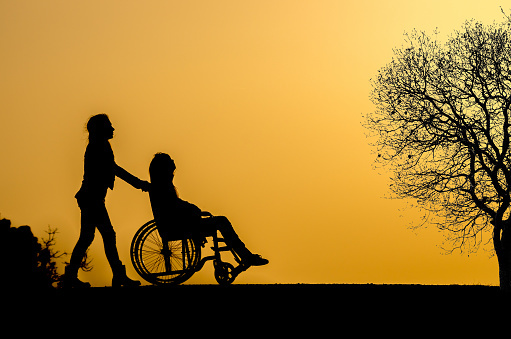 A supplemental Needs trust that is either funded while you are alive or through your last will and testament should be utilized to make sure that assets are distributed to the person with special needs in a way that will result in that person continuing to be eligible for their government benefits. If there are no siblings, other responsible individuals can be named to assist your loved one. Check out our calendar of events on keystoneelderlaw.com to find information on seminars that explain such trusts.